Project Arts Centre is seeking to appoint a new Curator of Visual Arts. This is an exciting opportunity for a dynamic and highly-skilled individual or collective to join the team at one of Ireland’s leading cultural organisations. The Curator is responsible for developing, delivering and managing the visual arts programme in keeping with the vision of Project Arts Centre. We are looking for a Curator who is passionate about making a real impact on the Irish and international scene. PAC is open to new ways of working, new forms of curatorial practice and time-based project proposals. Project Arts Centre is Ireland’s leading centre for the presentation and development of contemporary art, dedicated to nurturing the next generation of artists across all forms of the performing and visual arts. 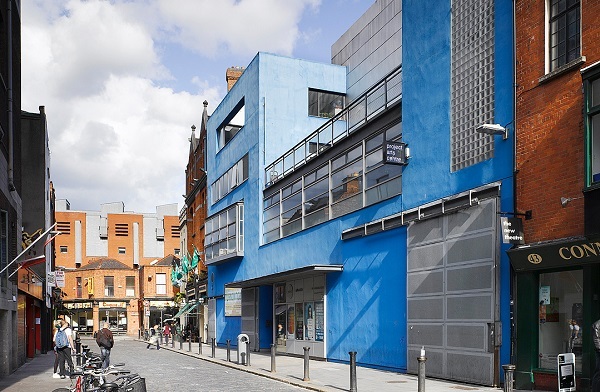 Consisting of two black box spaces and a gallery, PAC is the busiest arts centre in the country presenting over 600 events annually as well as supporting the work of some of Ireland’s most exciting art makers. Download the application brief by clicking here. Project Arts Centre is an equal opportunity employer. Project Arts Centre is funded by the Arts Council and Dublin City Council.